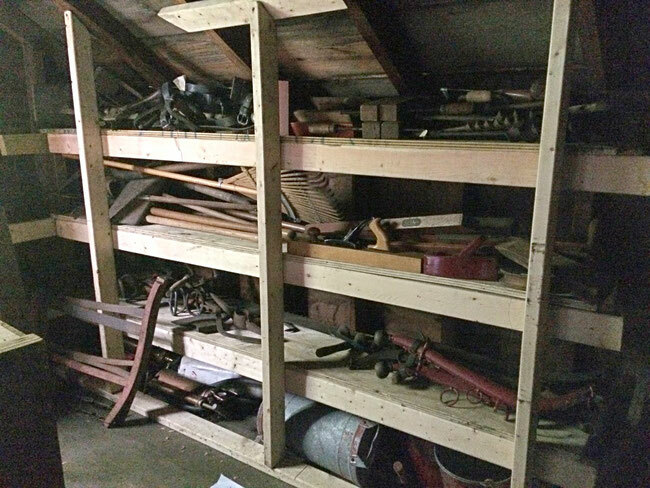 As part of a reorganization project of the museum’s collection, items from the main facility's basement were moved to the barn's attic space, which was being underutilized. The barn is located behind the museum. To prepare for the move, Robert Boehm built shelving in the attic space for proper storing of the items and Wendy Combs, curator, made sure all the items were properly documented. Robert, who had been in contact with Jody Ramaker of the Ottawa County Court, suggested that this project would be a great community service project for those that needed to work off some of their hours. On August 17th, Jody Ramaker along with another supervisor from the Ottawa County Court brought over three students to work for several hours moving well over 120 items. Along to support, supervise and help were Robert Boehm, Brian VanHoven along with his two grandsons and truck. 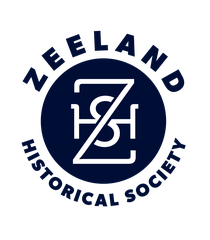 They were also able to move more than 40 textile items, a large round table and a school desk to the storage basement at the New Groningen Schoolhouse Museum where another project is under way (see Textiles --> The Schoolhouse). Audery Rojo, newest member of the museum staff and manager of Hungry Howie's Pizza of Zeeland, generously donated lunch for the hard-working crew. 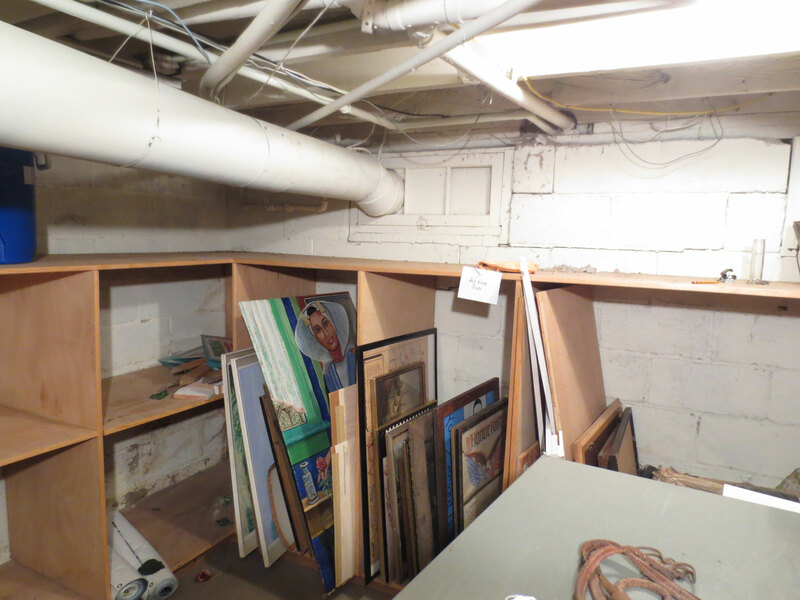 This is the area where most of the items were stored in the museum's basement. The tools, crates, signs, etc. are now stored in the barn's attic. 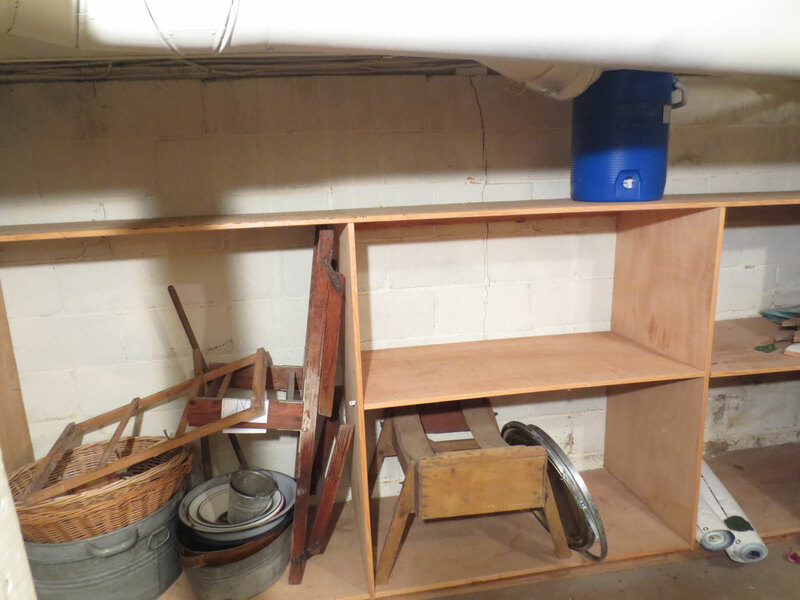 This shelving was constructed by volunteer Robert Boehm.